Home›PGD to ABE – Happy anniversary, Lehigh Valley International Airport! Happy Halloween! The holiday marks 5 years of direct, low-cost, nonstop Allegiant service between PGD and ABE. Happy anniversary, Lehigh Valley International Airport! Join us in celebrating and book your next vacation to historic Lehigh Valley, Pennsylvania. History is rich in the valley, which includes Allentown, Bethlehem and Easton. America’s symbol of freedom – the Liberty Bell was hidden here during the Revolutionary War. You can now visit its museum! Create colorful memories at Crayola headquarters – where you can even make your own color and see the world’s largest crayon! And no trip to Lehigh Valley is complete without a day spent at the SteelStacks, the 10-acre arts and cultural community campus on the site of the former Bethlehem Steel plant! 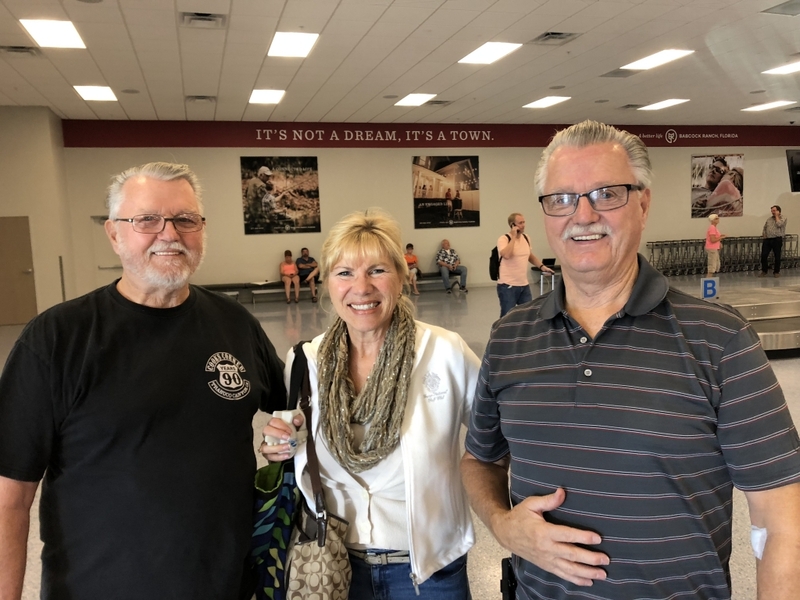 In celebration of our 5th Anniversary flying to and from Lehigh Valley International Airport (ABE), several Charlotte County attractions kindly donated tickets for a few lucky visitors from ABE to enjoy. Thank you kindly to the Peace River Botanical & Sculpture Gardens, King Fisher Fleet Sightseeing & Fishing Trips and Babcock Ranch Eco Tours for making this anniversary great!